When logic and emotion argue, emotion always wins. The part of the brain where emotions are processed is also the master-controller for many complicated systems in the body, from metabolism and digestion, to reproductive hormones, endocrine responses, and temperature. The expressions on our faces, body language, and even the way we smell originates in this part of the brain – the emotional center. When logic and emotion argue, emotion always wins, because biologically, emotion is faster than analysis. And, that’s why “willpower” strategies and affirmations almost always fail to produce real and lasting change. Now, wouldn’t you like to be in charge of the fastest part of your brain? Hypnosis is a means of training awareness and control of emotional patterns, whether about eating, relationships, study habits, fears, or performance. When the auto-pilot is skillfully trained, success is a fast and smooth ride. To schedule your journey into success, contact us now. Or, you can do that after you read further to learn more and discover an even greater curiosity about the safety and ease of changing your life through hypnosis. Some people think hypnosis techniques demand surrendering control of one’s mind to the hypnotist. Others harbor superstitious fears, thinking hypnotherapy methods are related to “intuitive practices”, “wish fulfillment”, “spiritual activities”, or other quasi-occult or unscientific stuff. In reality, hypnosis is a natural state of mind that every normal human experiences multiple times per day. Most people just don’t do it skillfully or with the specific intent to develop skill or change behavior – as in overcoming social anxiety. In reality, hypnosis techniques are at least as much science as art, and involve learning to skillfully use the right brain functions and emotional actions that are not part of analytical or conscious thinking. We are all constantly shifting the focus of attention between the external environment – and our private inner world – the world of memories, thoughts, beliefs, desires, fears, and ambitions. When a person is asked about the decoration of a distant place they’ve visited, answering requires attention to be directed inward to locate and review the memory for information. This is a mini-trance – a moment when attention is directed more inwardly than outwardly. It happens very quickly: We retrieve the answer and “come back out” – most often unaware that we’ve “left the building” momentarily. Have you ever felt the need to check your watch after attending a good movie? At the theater, before the show starts, we all notice other patrons munching popcorn and slurping soda. Then, the movie begins and as we begin to identify with our favorite character and get into the plot our attention is absorbed by the story, and we drift away from our physical surroundings. This is a type of hypnosis, which often includes one of the classic “trance symptoms” – a distorted sense of time. Another “movie hypnosis” experience is laughing at, or crying along with, a bunch of actors reciting lines into a camera. We react as if they were people we know, living real situations of hilarity – or tragedy. This movie-trance experience is the hypnotic release of the most powerful forces human beings have: our emotions. The definition of happiness is living one’s deepest values through one’s actions. Unhappiness is caused by internal conflicts, limiting beliefs, or uncontrollable personal habits interfering with this. Hypnotherapy is the purposeful and skillful use of hypnotic states to open new insights; to unleash the power of motivational forces; and to link those things to new behaviors that support living one’s values through one’s actions. Some people think hypnosis is anti-religious, when in fact, Jesus and other religious figures used many parables (stories that activate the imagination and create an emotional response to inspire a new perspective, suggest new behavior, and reinforce memory). In modern times, this approach is often called “Ericksonian Hypnosis” after the style of famous hypnotherapist Milton Erickson. The professional hypnotherapist does not tell a client what to believe or program them to do things. Hypnotherapy training allows clients skillfully to use their own resources more easily achieving true fulfillment by living-out their values comfortably. Would you like to become a hypnotherapist? People are not changed BY hypnosis; they achieve change THROUGH the experience of hypnosis. 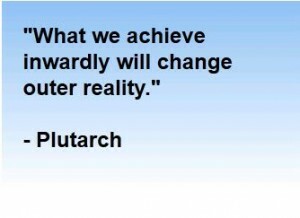 As Plutarch said: “What we achieve inwardly will change outer reality”. All people live in the same physical world, and inside themselves each person is a unique universe of belief, perception, and emotion. The powerful self-development achieved through hypnotherapy is experienced inside that unique universe where we can build self-confidence by activating forgotten learnings. Hypnosis techniques boost self esteem as right brain characteristics and resources are trained to work in greater harmony with left brain characteristics and understanding. Stress reduction naturally comes from the new perspectives that right brain activities control and hypnotic experiences release. Hypnotherapy techniques helps clients build a renewed commitment to personal growth – and the self motivation necessary to follow-through. Clinical hypnosis and life coaching allows people to let go of stress and anxiety blocking the courage to just take the first step, allowing people to build positive habits and take consistent actions toward your goals. Professional, certified Hypnotherapists at Transforming Changes provide clinical hypnotherapy, training in self hypnosis, and executive coaching programs – as well as advanced certification programs for those seeking a career in hypnotherapy. Take the first step and schedule a HYPNOSIS SCREENING, or submit your question to our Answers Blog. 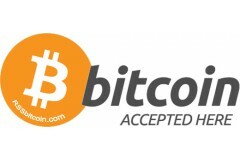 All submitted questions receive a response, and some are selected for a detailed published response on our Answers page.